If you need to store equipment from your site in order to refurbish or otherwise work on it we can do this too. 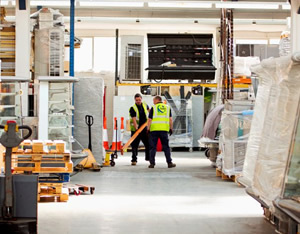 Our enormous secure storage facility in Kent (over 26,000 square feet) means we can accommodate large and small items for the long or short-term. Your staff or contractors may work at our premises to repair or refurbish your equipment (providing their insurances and credentials are in place) and there is always a cuppa available. We are licensed to store redundant equipment for 28 days, which allows us to arrange its collection by our contracted recycling company. Our Doncaster site is also well furnished with 2000 square feet of storage space, and is ideally situated for transportation to the north and Scotland. As a result, moving catering equipment between outlets around the country, storing it and refurbishing it is easy. Please call or email to find out what we can offer you.